Sound Transit (ST) is requesting Proposals from qualified firms to fund, design, build, operate and maintain a wireless communications system/distributed antenna system (DAS) for mobile/cellular communications in the Sound Transit underground light rail system, and optional above ground stations subject to ST approval, and to serve as the system’s neutral host between mobile wireless carriers and their transit riding customers. This initiative will enable transit customers to use any wireless carrier in all underground facilities owned by Sound Transit, and the King County owned Downtown Seattle Transit Tunnel (DSTT) (together the “Underground Facilities”). In other words, get ready for cell phone connectivity in the downtown tunnels, as well as any future segments. The RFP is looking for “comprehensive wireless coverage in all current and future underground stations and tunnels: approximately 13.3 miles of dual bore tunnels.” So you can expect coverage along the route as well, not just in the stations. All four major US cell carriers are included. According to Sound Transit spokesperson Bruce Gray, service should be up and running by the time U-Link opens in 2016. We’d really like to see real-time arrival information in all LINK stations, like, yesterday, but having good cell coverage would be nice as well. How about good WiFi on the light rail trains and hopefully buses too please? The RFP specifically states that no equipment can be installed on transit vehicles. Transit passengers will have the expectation that cellular service will be available for all of the four major wireless carriers (AT&T, Sprint, T-Mobile, and Verizon) when the system becomes operational. One potential vendor asked about WiFi. ST clarified it isn’t required but won’t reject proposals that include it. I would hope ST would encourage WiFi! They didn’t. You’d only get the WiFi signal while inside the tunnels, whereas cell coverage will remain outside the tunnels, so it provides for an inconsistent user experience. I’d think that Wi-Fi would be welcome on a certain 37-minute train ride. Would this RFP apply to vehicles or just facilities? ST will not allow vendors to install any equipment on vehicles. Stations and tubes only. Though I still reserve the right to punch loud-talkers in the face. I think 99% of the use will be texting/data. How often do you actually hear people talking loudly on a quiet bus? For me it’s not even once a week these days. Go ride a route numbered 20 or less. Concur. My #2 and #3 are as loud as they come, except weekday mornings, when they’re as hushed as a suburban ST route. On a southbound #48 last week there was a woman that got on around Union St. and proceeded to have a very loud volume conversation that seemed to be good natured enough, but by the time we reached about Cherry St. she was letting loose a shouting string of profanity into her phone and whoever was on the receiving end. I am not a wilting flower when it comes to profanity, but it is considerably impolite to be doing this on a public bus, and was not exactly appreciated after a long day at work for me and probably many other on the bus. I do agree it is very inconsiderate. I was once on a dead-silent bus from the eastside with like 5 people on it. One was a young woman describing at length and in considerable detail a number of what might be politely described as “romantic experiences”. I think it might have been a joke and for the “benefit” of the other riders. extremely unpleasant. That’s when I became determined to always use headphones. Not long ago on a bus from Tacoma, I sat next to a woman who, with headphones on, was apparently unaware that her phone’s other speaker blasted Michael Jackson’s “Smooth Criminal” — in its entirety — each and every time she got a text message. By the sixth or seventh instance, myself and a few other proximate passengers took up moonwalking in the aisle. The woman never noticed. I was once on a dead-silent bus from the eastside with like 5 people on it. One was a young woman describing at length and in considerable detail a number of what might be politely described as “romantic experiences”. I think it might have been a joke and for the “benefit” of the other riders. About a year ago I managed to get a seat behind a woman on a cell phone here in Portland. Her conversation wandered into the realm of what I can only describe as extreme and gory details of her reproductive cycle. I think these people just don’t think – about the fact they are talking in public, or that what they are saying may not be appreciated by those around them. With a certain crowd posting every little detail of their lives to Facebook, Twitter and the like, stuff like this isn’t too surprising I guess. Why judge someone simply because they are making a voice call? Or riding a route within a given number range? This will be interesting as Sprint and Verizon use CDMA technology; AT&T and T-Mobile use GSM. Unless the phone is setup for CDMA and GSM, it will only work with one sort of signal or the other. Most of the carriers offer 4G LTE (last I checked Sprint in the Seattle area is still in WiMax dinosaur 4G), however it’s been reported that some of the discount and prepaid carriers use only the 3G technologies first mentioned. As an out-of-towner who earlier today rode Rapid Ride E for the first time, I was very surprised by the quality of the “free” wifi service (everything has to be paid for by someone somewhere). And this was on a Laptop, not a phone. Most LTE towers and relays are backwards com with both CDMA and 3G GSM, as LTE is essentially CDMA + 3G GSM. Distributed Antenna Systems are stable technology. Devices exist that allow modular installation of various technologies–adding 700 MHz LTE is as easy as plugging in a card and hooking up an antenna. Indeed, usually in this application you install BDAs (Bi-Directional Amplifiers), which boost your phone’s signal to/from a nearby cell phone tower via an antenna above the surface. The equipment is technology-agnostic, but has to be capable of passing the specific cellular bands that each carrier uses for each technology. It sounds like from the specifications that they are requiring support for LTE and legacy GSM / CDMA bands from all four major carriers. Thanks, all of you, for the clarification/reassurance. More proof with technical things it’s possible to learn something new everyday, and one of the reasons it’s a pleasure to contribute here and by extension enjoy my time when I’m in the area. Most of the loud-talkers I’ve heard have been talking to other passengers, not on the phone. I don’t mind cell phone loud talkers so much, because at least I know they won’t try to draw ME into their conversation. OT, but I am pretty sure the new 99 tunnel (if ever completed) is supposed to have cellphone capabilities when it opens. Because encouraging cell phone usage in cars is a good thing? No, because if there’s an emergency in the tunnel you don’t have to hope a ham radio operator will be there with you. Don’t tunnels usually have emergency phones these days? I could swear the I-90 tunnels have them. Yeah, they do, but when all else fails: ham radio works. Pretty sure they are required to have emergency phones. Both the I-90 tunnels/lid and the floating bridge have emergency phones. The phone automatically calls WSP. The I-90 tunnels also have repeaters for most all the Seattle AM and FM stations (except for 89.5). As for the DSTT, thank goodness. It’s about time we catch up to SF. Apparently, WMATA has only limited coverage (from my experience in NoVA and DC back in December). The I-90 tunnels also have repeaters for most all the Seattle AM and FM stations (except for 89.5). False. Any such repeaters would require a license and none are. I’ve got the photo of the repeater bank in the Mt Baker Tunnel Control Room. I’ll email it to you. Email STB and have them give you my address. Charlotte’s right about the repeaters in the I-90 tunnel. Even if emergency phones are there, you would still have to walk half a mile down a freeway shoulder to get to one. Better than nothing, but not nearly as good as being able to use your own cell phone. So is it less than or equal to 1 millivolt per meter? Tim, is what equal or less than 1mv/M? The output of the booster, or the signal of the primary station inside the tunnel? Sorry, I’m not very smart. Could you point me to the FCC rules regarding what kind of license you would need to operate a system such as this? Or is radio-locator.com where you can find that info? Maybe WSDOT has been operating illegally for 25 years, and they should be reported to the commission. I just know that inside all of that rebar-reinforced concrete I somehow get good reception. Or if you were referring to the SR-99 tunnel, might have to up the wattage or get a foot warmer. Any synergy with Real-Time Info this way? Different projects entirely? This RFP is only installing the equipment and making deals with the carriers. I am really excited about this. I’m actually surprised it has taken this long. 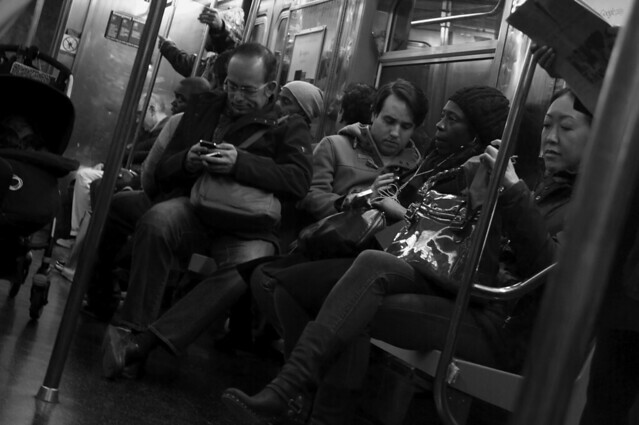 ST releasing an RFP doesn’t necessarily mean that cell service in the tunnels is coming. It just means ST is looking into it. I don’t think a half dozen vendors would have flown in from out of state if they weren’t interested in bidding. So does ‘all’ really mean all? In other words, for someone who thumbed through the RFP, will Beacon Hill station/tunnels be included? I read at least half of the RFP; Yes, all existing and planned tunnels. Includes Bacon Hill and DSTT through Northgate. And I think East Link was mentioned. Yep, all existing and planned tunnels. Now if only they would start to offer cell phone ticketing, the cell phone service in the tunnel could be useful. That only took…way, way too long. The link to the RFP document is on ST’s contracting website which requires a login, and the registration form requires a company name. How did you guys register yourself? Would it be possible for someone with the RFP to just post it here? I’ve been reading about “small cell” technology that the wireless carriers are providing for use inside buildings. Seems like a transit station would fit the model, and given that this is now becoming standard, not cost much money or need specialized design. Plus 4G essentially provides wireless broadband as well. Might work for the mezzanines or the Bacon Hill platform, but not really a viable technology for anywhere else. The amount of coverage is far too small, and you’d need dozens of them inside each tube to have adequate coverage. All the existing tunnels and stations already have radio coverage for the radios used by the trains, Metro’s buses and the radio system used by all police and fire agencies in King County. leaky coax is a much more appropriate technology for tunnels. What about the Beacon Hill Station and Tunnel? Is that included? I just emailed ST and Metro about this in December and got a very snotty reply from ST. I’m glad to see the agency was working on this behind the scenes even while their customer service reps were dishing out misleading information. This was posted to the procurement site in October or November. I think it’s asking a bit much to expect the CSRs to have knowledge of bids that are announced–let alone closed ones. Also, curious as to what their “snotty” reply was.